In last month’s column, I responded to the recent analysis by The New York Times on rural poverty by discussing best practices for rural community development. This month, I would like to extend this discussion by presenting a model of development that can be used as a guide for rural policy makers. In an article entitled “The Rural Growth Trifecta,” David A. McGranahan, Timothy R. Wojan, and Dayton M. Lambert present findings that can be used to construct a practical model of rural development. The authors argue that economic growth in rural areas is an interaction of three factors: the creative class, an entrepreneurial context and outdoor amenities. Over the past few decades, the creative class model has dominated economic development scholarship and practice. The focus has been on strategies to attract individuals that can contribute to the knowledge economy, the so-called creative class workers. Economic development practice has embraced the creative class model, with many communities investing heavily in attempts to attract and retain creative class professionals. Academics have often been more critical of the model, focusing on the difficulties of defining the creative class, the model’s focus on “cool cities,” and how the model may be a repackaging of older theories. While there is obviously disagreement about the creative class in academia, research has on average found evidence supporting the underlying ideas of the model. But at first glance, the creative class model offers little advice for rural communities, especially ones suffering from decades of persistent poverty. 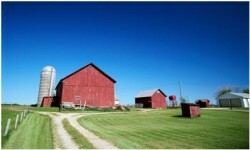 However, rural communities and small cities have been shown to be creative magnets. Urban policy makers and economic developers are not the only ones promoting creative class policies. In research reported in the Review of Regional Studies, Roberto Gallardo, Matt Oyer and I found that rural economic developers in Kentucky were just as likely to view the creative class model as useful to their community’s development strategies as urban developers were. In a past column, I discussed how Berea, Kentucky is an example of a small town that has a strong creative presence. Today, the community serves as a model for other small and rural towns looking to develop strategies to cultivate the creative class. Berea College has helped give the community a strong history of talent and tolerance. The college was the first racially integrated institution in the south. The community has also sought to protect its artisans while also promoting new businesses and technology. In its recent development plans, the city has sought to promote an entrepreneurial context by helping artisans do a better job of translating their passions into business. Rural communities can cultivate a strong entrepreneurial context by developing policies that stop “brain drain” and by investing in the infrastructure needed for effective entrepreneurship. The Appalachian Transition Fellows is a program that seeks to help Appalachia retain talented youth and teach them skills to help diversify the region’s economy. The program accomplishes this goal by securing meaningful internships for young people in nonprofits, government agencies and private firms with the hope that the fellows will use their skills to help transition the region’s economy away from a coal-based economy. Many rural communities need to invest in certain types of infrastructure to promote entrepreneurship. Affordable broadband access, low-interest financing and small business development need to be part of a community’s entrepreneurial infrastructure. This infrastructure should be treated as a public good for our rural communities. To take the economic risk that goes along with entrepreneurship, individuals need to know that governments and nonprofits will provide financial help. The Mountain Association for Community Economic Development (MACED) in Berea, Kentucky provides financing for would-be entrepreneurs and agencies interested in helping to diversify the economy of eastern Kentucky. Other rural communities need this type of entrepreneurship infrastructure. Natural amenities are key to local development strategies in rural communities. In an article in The Review of Regional Studies, Jason R. Henderson and Kendall McDaniel demonstrate how communities with more natural amenities experience higher levels of employment, population and income growth. In “The Rural Growth Trifecta,” McGranahan and associates found a strong relationship between outdoor amenities and economic growth. Many professionals want to move to a small town environment where they have easy access to nature and outdoor amenities. Rural communities should promote natural amenities by including a focus on tourism as a part of their development strategies. They should also protect natural capital by developing sustainable environmental regulations and diversifying local economies. Supporting education, technology and tolerance. Building and maintaining infrastructure that supports entrepreneurs. Promoting and protecting outdoor amenities. In next month’s column, I will discuss outdoor amenities in great deal and examine how tourism-based development can strengthen rural communities. Great points that do need to be included in the discussion of a normative model for rural community development. This column has good insights on stimulating rural economic development. One point to make, however, is that generally speaking rural areas (rural counties) close to metropolitan areas do better than rural counties further out. Berea, for example, is close to Lexington (Kentucky), and not that far from Cincinnati. There is a body of work, such as by Partridge and Rickman (see their May 2008 article in Journal of Regional Science) that concludes that (rural) poverty rates increase with distance from urban centers. They have also looked at “spread/backwash” effects in US and Canadian rural areas, again concluding that rural regions close in to urban centers do better than other rural areas. Others have noted that rural (nonmetropolitan) income is significantly influenced by variables such as extractive industry (e.g., farm and mining) product prices, and by the level of Federal government subsidy and transfer (e.g., Social Security) payments. This might suggest that along with the recommendations listed above, more “isolated” rural areas (such as in parts of the Great Plains and Intermountain West) might benefit from improved highway and rail transport. That being said, some of the advantages that rural areas had in attracting manufacturing, such as cheap land and nonunion labor, may be less important today than in (say) the 1980s and 1990s.